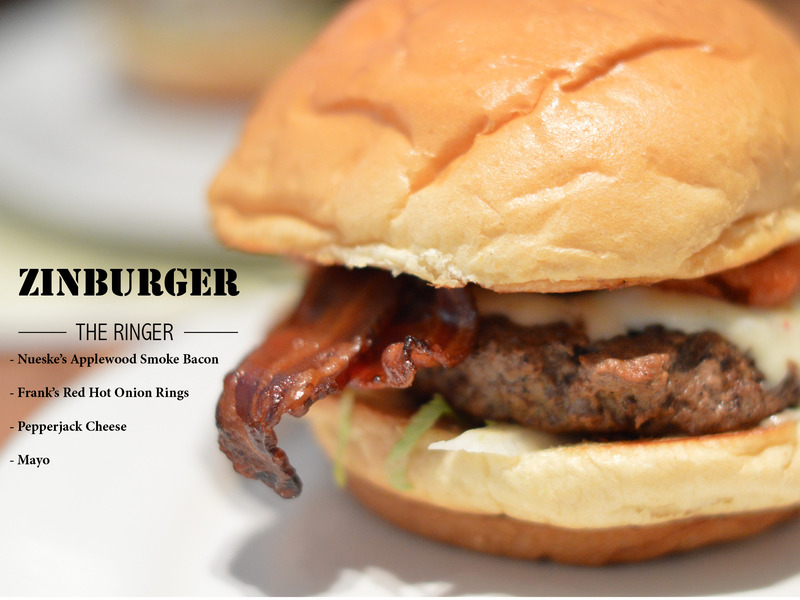 You are here: Home » ZinBurger – Is the Ringer a Top Burger In Durham? Service: Our server Sheila, was friendly and attentive. When asked what her favorite burger on the menu was, she without skipping a beat called out The Ringer. I always appreciate when the server knows the menu and is confident about what is good. The Fries($5.00): Thin hand cut fries served in a basket on wax paper. Pretty good and crisp fries. Only drawback was the fries near the bottom of the pile were soggy. The Burger: The Ringer ($11.00) – Nueske’s applewood smoked, Frank’s Hot Sauce, onion rings, pepperjack cheese and mayo. One bite into this thing and I knew why Sheila didn’t hesitate. The burger was a nice sized patty. So far every time I visit this place the service is above and beyond, the waiters have a good grasp on the menu and very willing to share their opinion. I have not been disappointed with any burger here but The Ringer lives up to its name and is a clear stand out to me. Yes this place is pretty pricey for a burger joint and it can add up if you are drinking wine but I am never one to quibble about the price of a meal if I enjoy it.